Home Diseases Hematology Nutritional anemia – How to investigate? Nutritional anemia is anemia caused by the deficiency of a nutrient required for the production of red blood cells. Nutritional anemia can be a consequence of inadequate intake of the nutrient or a defective absorption or because of increased requirements by the body. 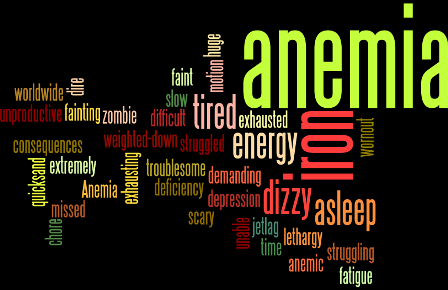 Of the nutritional anemias, Iron deficiency anemia is the most common. It is estimated to affect one-tenth of the world population. Most of the individuals are females and those living in the developing and war-struck areas. Iron deficiency anemia in children is almost always due to a reduced intake of iron. In adult females, it is usually caused by excessive menstrual losses while in men and postmenopausal women, it is due to gastrointestinal losses in the majority of the patients. Folate and B12 or cobalamine deficiency are the other major nutrients required for red cells production. Most of the patients developing folate deficiency are those with increased requirements like individuals with hemolytic anemias and pregnant females and those with defective absorption. B12 or cobalamine deficiency is mostly seen in vegetarians. Since, Vitamin B12 is exclusively found in animal diet, vegans develop a deficiency of vitamin B12 after their stores are depleted. Other patients developing Vitamin B12 deficiency are those with antibodies against intrinsic factor (pernicious anemia), gastric surgery or ileal resection and those with achlorhydria. How to investigate anemia because of nutritional deficiency? Step 1: Look at the MCV …. Transferrin saturation will be low. This is calculated by calculating iron to TIBC ratio and multiplying it with 100. A value of less than 20 is highly suggestive of iron deficiency anemia. Serum transferrin receptors will be increased but this test is done less often. Serum Ferritin is low in iron deficiency anemia. However, since ferritin is an acute phase reactant, the test may be falsely raised is acute inflammatory conditions. Bone marrow iron stores. This is the gold standard test for the confirmation of iron deficiency. 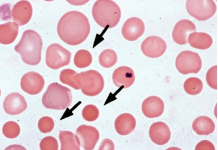 Blood CP: Apart from the low hemoglobin and raised MCV, these patients usually have low platelets and white blood cell counts (bicytopenia and pancytopenia). The peripheral smear may show Macrocytes, ovalocytes, macro-ovalocytes, hypersegmented neutrophils, and low reticulocyte count. 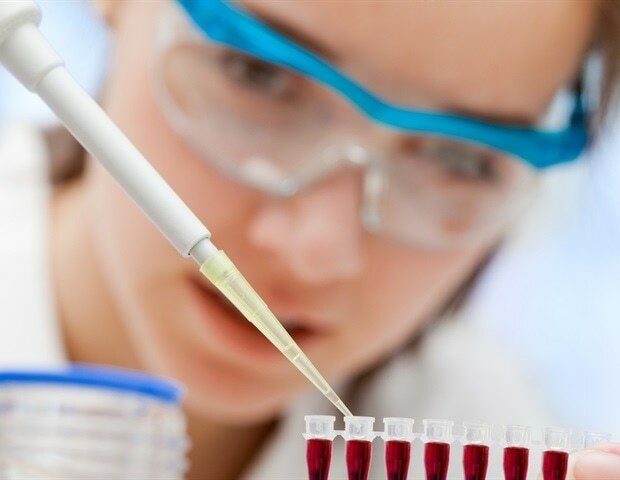 Confirmatory tests include red cells folate levels which will be low in folic acid deficiency anemia and Cobalamine or B12 levels (to confirm B12 deficiency anemia). Precursors of Cobalamine synthesis like methylmalonic acid and homocysteine levels may be raised in borderline cases of B12 deficiency anemia. Bonemarrow biopsy may be indicated in some cases especially those with undetermined B12 levels and pancytopenia (to rule out myelodysplasia and aplasia). Megaloblasts will be seen with a reactive marrow in such cases. To find the cause of iron deficiency, the following tests may be ordered. (Note these tests may be individualized based on the patients’ history and associated clinical features). Young females with a history of menorrhagia may be referred to a gynecologist for a pelvic examination. Such patients may not need further investigations. A coagulation profile, platelets count and bleeding time may be ordered if a systemic cause of menorrhagia is suspected. Patients with a history of hemorrhoids and lower Gastrointestinal bleeding may require a surgeons’ consultation, proctoscopy and or sigmoidoscopy. Patients on Non-steroidal anti-inflammatory drugs, those with a history of melena or peptic ulcer disease may require gastroscopy. Stool Examination to exclude worms infestation may be ordered especially in children and patients in the developing countries. Serology for celiac disease and/or duodenoscopy and biopsy of the duodenum may be ordered in patients with a history of a diarrheal state and wheat intolerance. Stool for occult blood, colonoscopy, and computed tomography may be ordered in patients suspected of having a malignancy. Vegetarians and those with a history of the gut (stomach or ileal resection) may not need further investigations and they may be started on replacement therapy and see the response. Upper and lower gastrointestinal endoscopies may be advised in patients with malabsorption and or a diarrheal state. Anti-intrinsic factor antibodies to rule out Pernicious anemia. Ultrasound abdomen and/ or a CECT abdomen for ilial pathologies like ilial tuberculosis and Crohn’s colitis. Next articlePleural Effusion – How to interpret the results? Serious adverse effects of quinolones – EMA/ PRAC warns!